Another luxury is having a place to wash the day’s grime and wash the work clothes. Even if, or especially when, it’s snowmelt. That’s refreshing! 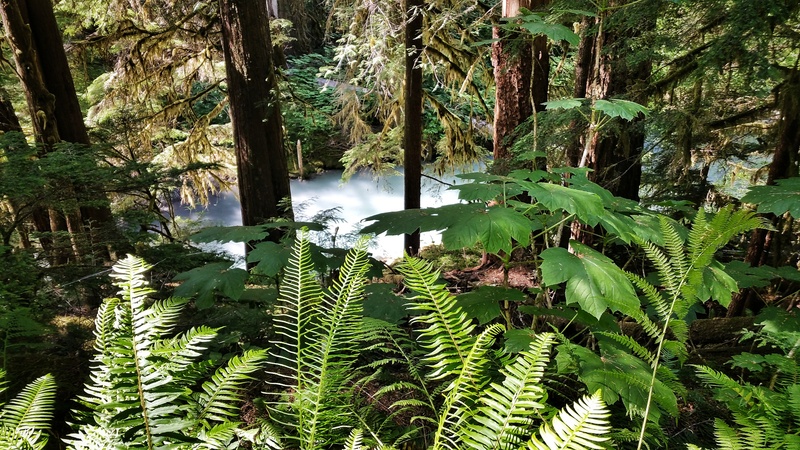 In this case, this beautiful pool is full of glacial silt, giving it a milky appearance in the rain forest. We didn’t have access to this spot at the campsite, but it sure made for a relaxing image along the hike back out to the trailhead.